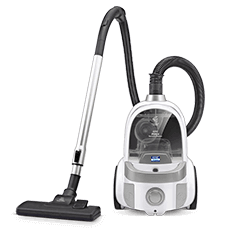 KENT HEPA air purifiers use HEPA dust collection technology that effectively remove 99.9% of pollutants such as Particulate Matter (PM 2.5), dust, pet hair, formaldehyde, cigarette smoke and other pollutants. The high purification capacity of the HEPA filters purifies the room instantly. KENT Ozone Air Purifiers help in keeping the indoor air clean by using Ozone disinfection technology. The air purifiers produce Ozone, which is a powerful oxidizing agent and has an exceptional power to kill bacteria, viruses and other harmful microorganisms present in the indoor air. 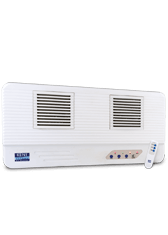 Air purifier product range by KENT uses revolutionary ‘HEPA Air Purification’ and ‘Ozone Disinfection’ technologies to make indoor air pollutant free. For convenience, we have designed room air purifier machines in models that can be mounted on wall or can placed on a table. With Japanese air purification technology, we offer best air purifiers in India to make your home, office and car a healthy place. Our range of room air cleaner purifies indoor air by removing dust, PM 2.5, bacteria and other air pollutants with 99.9% accuracy. 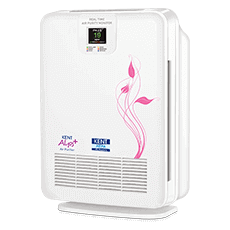 You can buy best air purifiers online for your home in India from KENT website, we are a trusted brand since 1999. Effective in most polluted Indian cities like New Delhi, Bengaluru, Mumbai, Gurgaon etc. High-efficiency and low-maintenance home air cleaner with CE Certification. Purifies air during smog, storm, construction sites, festivals, winter etc. Indoor air pollution is 10 times more dangerous for your family than outdoor air pollution. To protect your family from pollution, bring home KENT Air Purifiers, a leading brand in the healthcare industry. Explore our smart range of air purifiers for home and car cabins. We manufacture one of the best air purifiers for home in India, powered with Advanced HEPA Technology. It effectively removes dust, mites, PM 2.5, bacteria and other harmful pollutants from the indoor air with an accuracy rate of 99.9%, making it one of the best air purifiers for Delhi pollution. KENT air purifiers for home delivers breathing air by removing PM 2.5 through High-efficiency Particulate Arrester (HEPA) filter air purification stage. The filter catches and traps Particulate matter 2.5 or finer particles up to 0.3 micron with an efficiency of 99.9%. Dust is a common air pollutant generated through construction sites, gardening, industrial activities, natural rock, sand, soil erosion etc. Dust in air is one of the major cause for irritation in nose & throat, coughing and breathe shortening, hampering lung functioning, irregular heartbeat, asthma and other diseases. KENT designed air purifiers for India to remove dust particles at multiple stages, dust particles gets captured at pre-filter stage and fine dust particles are captured at HEPA filter stage delivering fresh and pure air. Pet dander, pet hair, tiny pieces of skin shed by dogs, allergy producing protein through their sweat, saliva etc. are common air pollutants found in homes that have pets. These trigger allergic reactions to vulnerable family members, it brings medical complications like asthma, coughing & sneezing, dizziness, lethargy, water in eyes, shortening of breathe, digestive problems and many more. To give healthy life to all, KENT built air cleaners that remove pet air pollutants and delivers clean air. 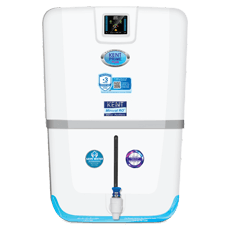 During the multi-stage purification, pre-filter captures pet hairs and other physical pollutants while anti-bacterial coating de-activates all bacteria and virus from air. Cigarette smoke includes two categories of air pollutants, PM 2.5 particles visible to naked eye called smoke and invisible gases such as carbon monoxide & benzene. Cigarette smoke (either actively or passively) directly harms human lungs causing coughing, breathe shortening, irregular heartbeats, asthma, cancer and many other diseases. KENT designed best air purifier in India for home use that purifies cigarette smoke by capturing invisible gases (cigarette odour) at carbon filter stage and visible smoke (PM 2.5) at HEPA filter stage to make you and your family breathe pure. Cooking fumes produces nitrogen dioxide, its side effect are similar to combustion of any waste material. Cooking fumes in homes with improper ventilation system primarily effect health causing respiratory problems resulting in sneezing, coughing, irregular heartbeats, asthma and many more. 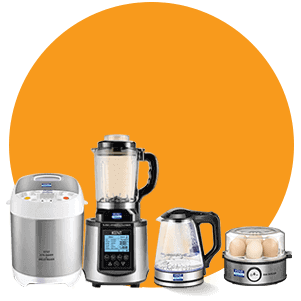 KENT offer air purifier machines that absorbs harmful gases produced during daily cooking in kitchen. 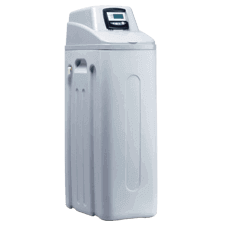 The gases are purified at activated carbon filter stage of air purification process. Pollution of paint fumes can be felt during whitewashing of home or when news furniture is brought into house. Paint contains chemicals that releases gases into air which can be identified as foul smell. Paint fumes may cause children, older folks and people with respiratory diseases problems like allergies, asthmatic reactions, headache, skin irritation etc. KENT designed low maintenance air purifier that removes harmful paint fumes during second stage of air purification, the activated carbon / catalytic carbon adsorbent filter absorbs paint fumes from air and releases fresh air back. Bacteria & viruses are invisible living organisms that travel through air when someone coughs or sneezes, which may cause communicable diseases. They may cause uncountable common diseases like cough, cold, influenza as well as really serious ones. 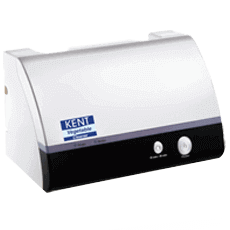 KENT designed air purifying machines capable to disinfect air. The anti-bacterial coating in air purifiers captures bacteria and viruses from air and throws out safe air. Offensive odour and foul smell are generated via different chemical reactions, industrial & agricultural activities, and rotting processes. Foul smell causes irritation in nose, headache, sneezing and discomfort. 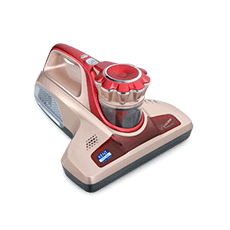 KENT air cleaning machines for home has powerful mechanism to remove odour from the air. When air passes through activated carbon filter, the gases/smell gets captured and only fresh air is released back into the atmosphere. What will Happen if the level of Air Pollution Continues to Increase?